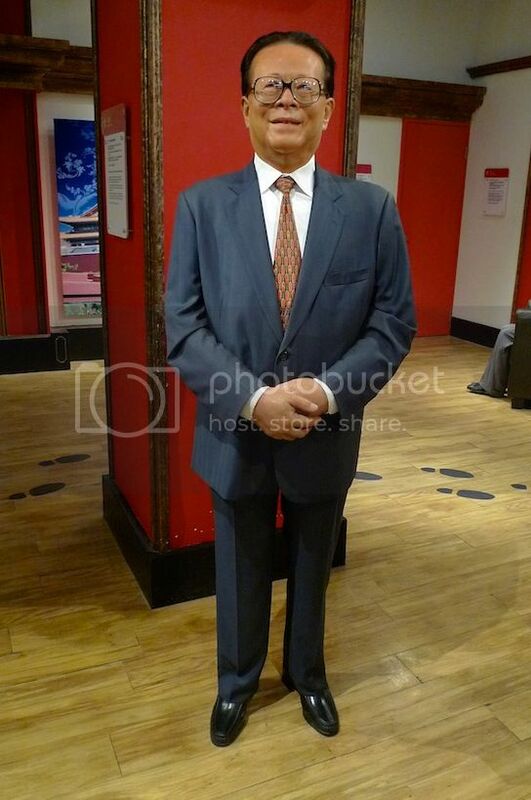 I have only been to two Madame Tussauds Wax Museums in the world so far. One was in Bangkok and the other was in Hong Kong. 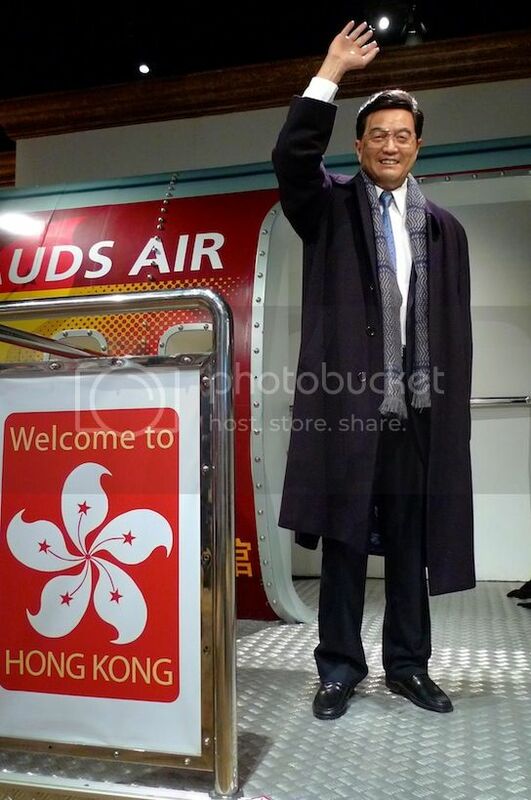 During my Hong Kong trip last year, I visited Madame Tussauds Hong Kong which is located at The Peak. 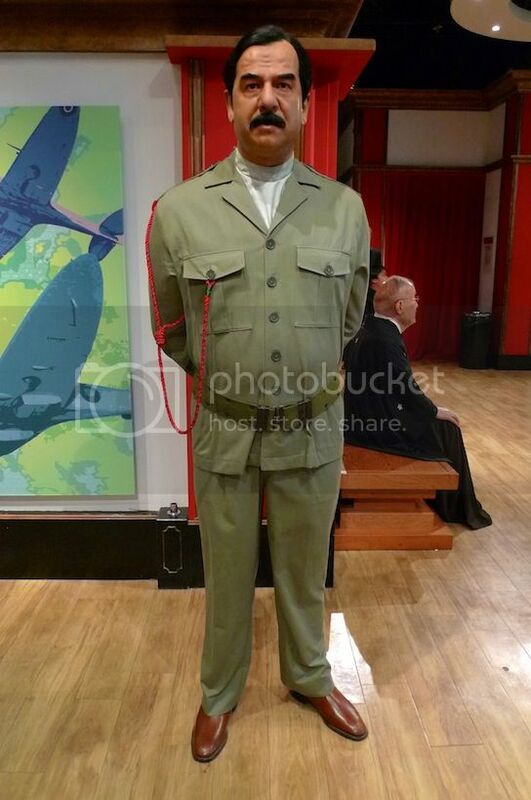 Now let's see if you can recognize any of these wax figures. 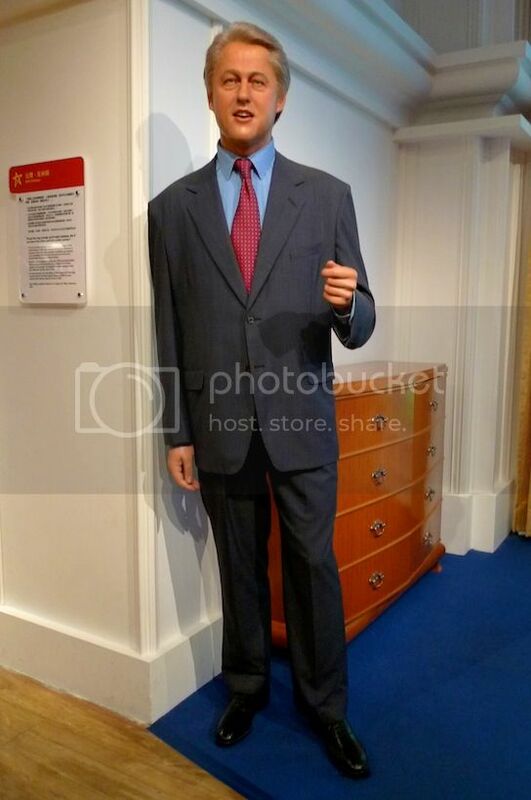 Pierce Brosnan in his famous James Bond pose. Who do you think is the better James Bond - Pierce Brosnan or Daniel Craig? Michelle Yeoh, our very own Malaysian Bond girl. But of course she's famous for her other roles too, and presently some milk advertisement in Malaysia. 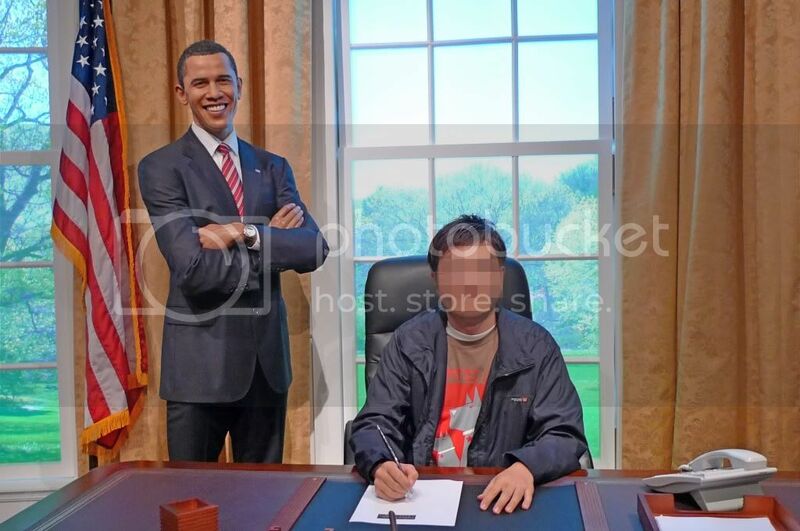 I did not take a photo of Jacky Chan as that requires payment. 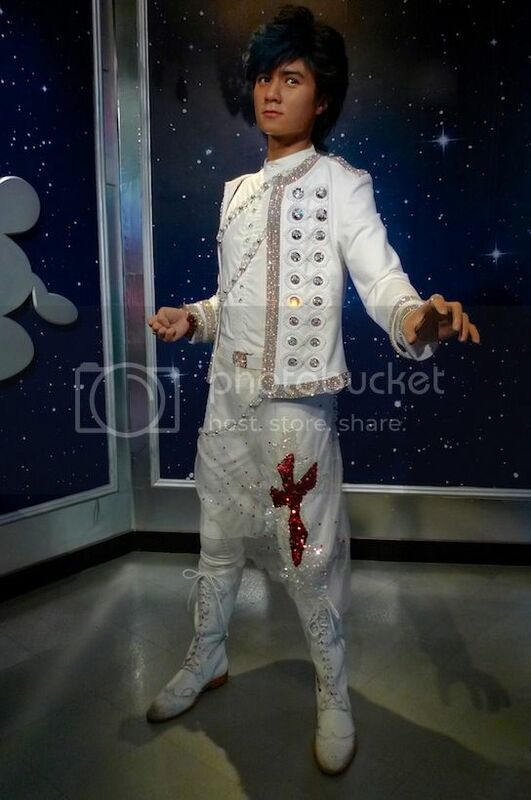 Not interested to pay for a photo with a wax figure. Maybe I will pay for a photo shoot with the real star but I then again, maybe not! Nicole Kidman looking like the real thing. Hot couple Angelina Jolie and Brad Pitt. 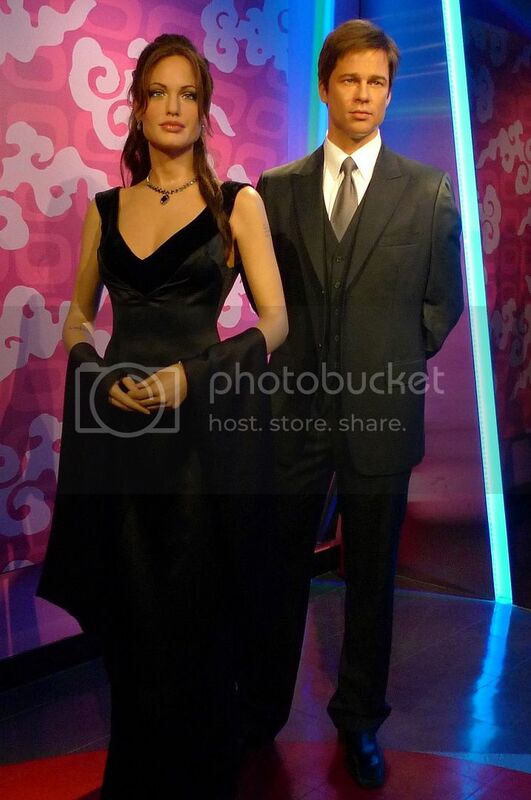 I think the couple looks better at Madame Tussauds Bangkok. 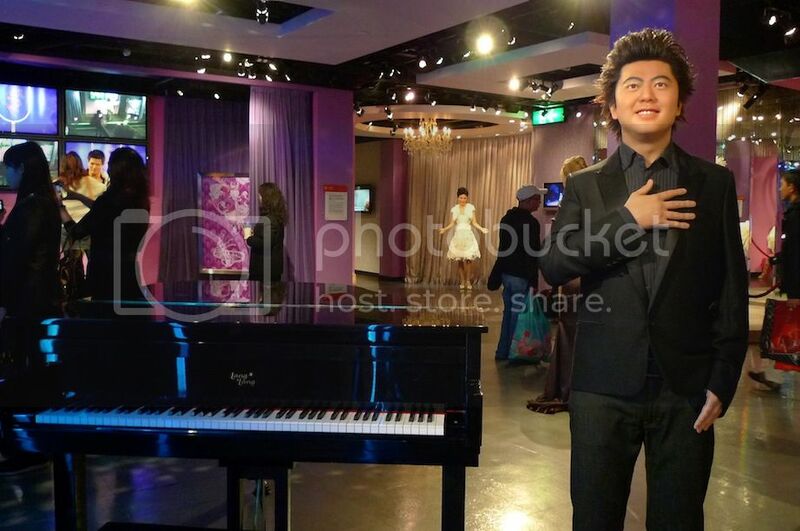 Famous New York-based Chinese concert pianist Lang Lang. I love watching him perform! 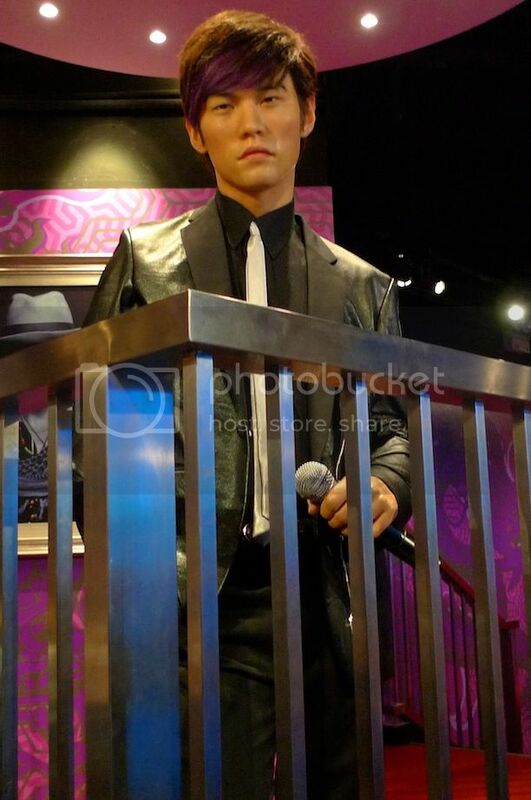 Jay Chou - Taiwanese singer, songwriter, actor and director. 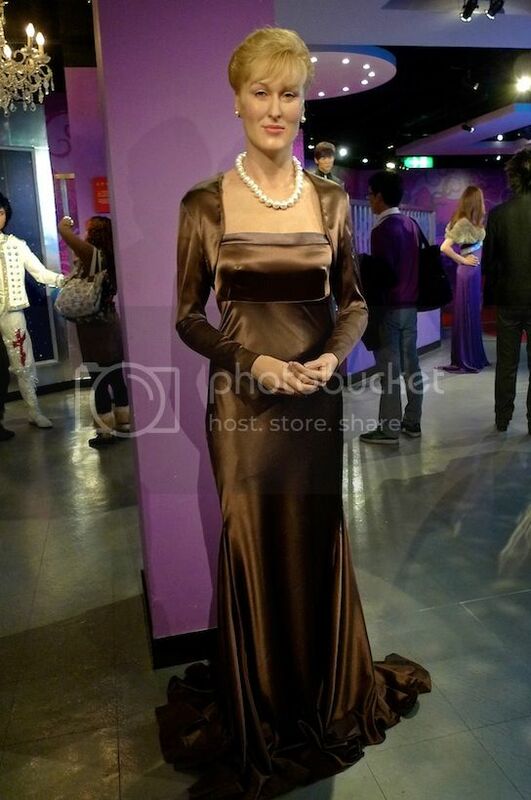 The wax figure of Hong Kong actress Cecilia Cheung did not look very natural to me. What do you think? Leo Ku, Hong Kong Cantopop and Mandopop singer. 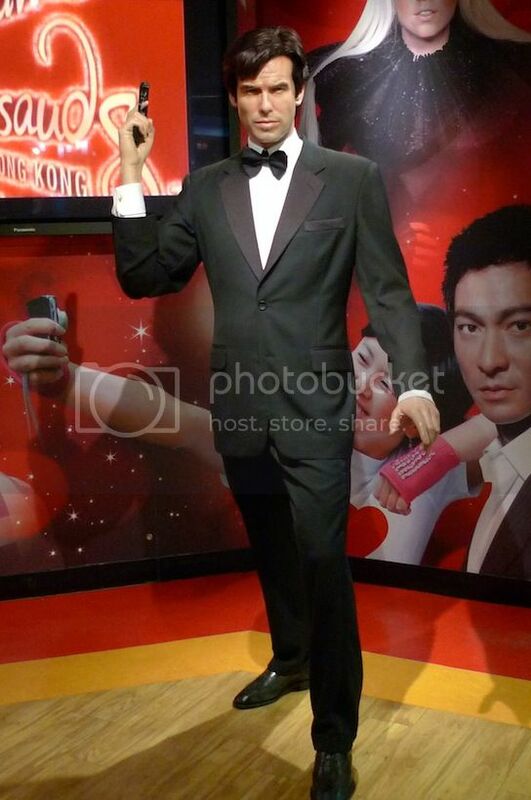 Aaron Kwok, one of the four Cantopop Heavenly Kings, the other three being Jacky Cheung, Andy Lau and Leon Lai. Meryl Streep looks a bit weird to me. Perhaps her face too long? 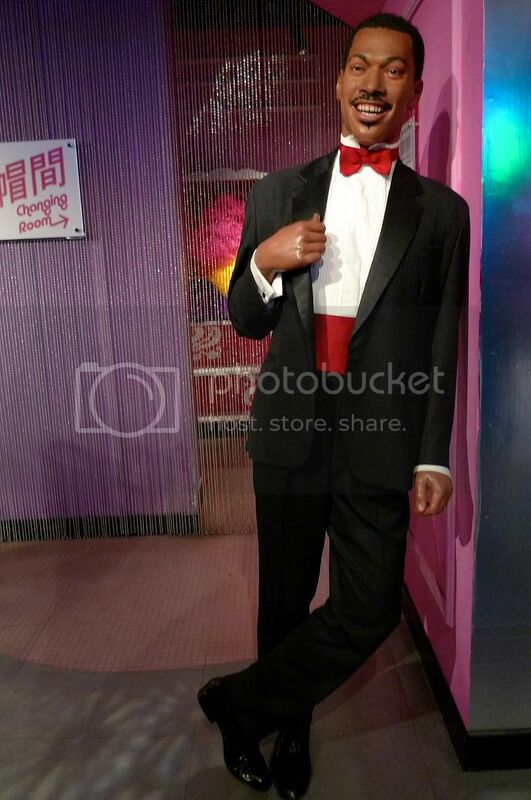 Eddie Murphy, famous American comedian and actor. 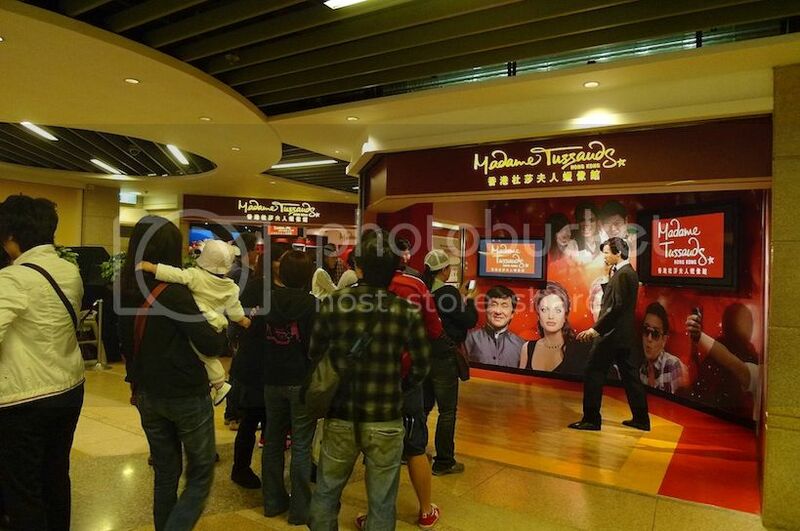 Janice Vidal, the Cantopop singer who is known as Wei Lan to her Hong Kong fans. 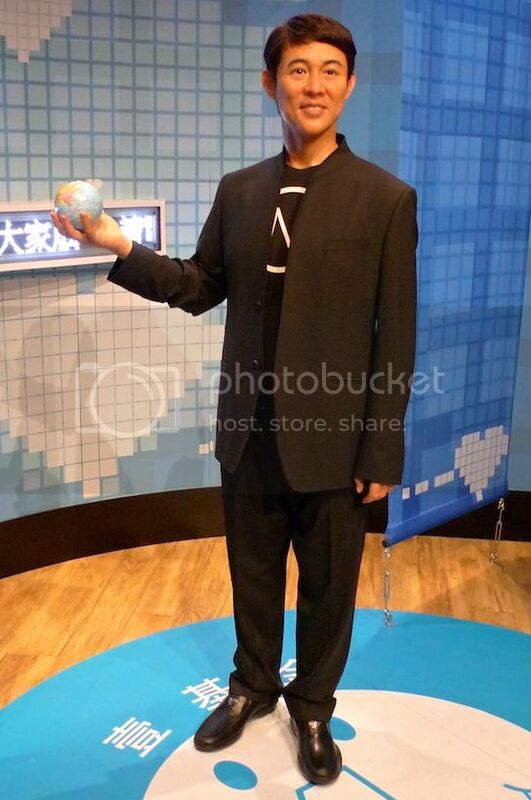 I did not particularly like this wax figure of Hong Kong singer Kelly Chen. Notice her teeth? Something wrong there! Ta-daa!! 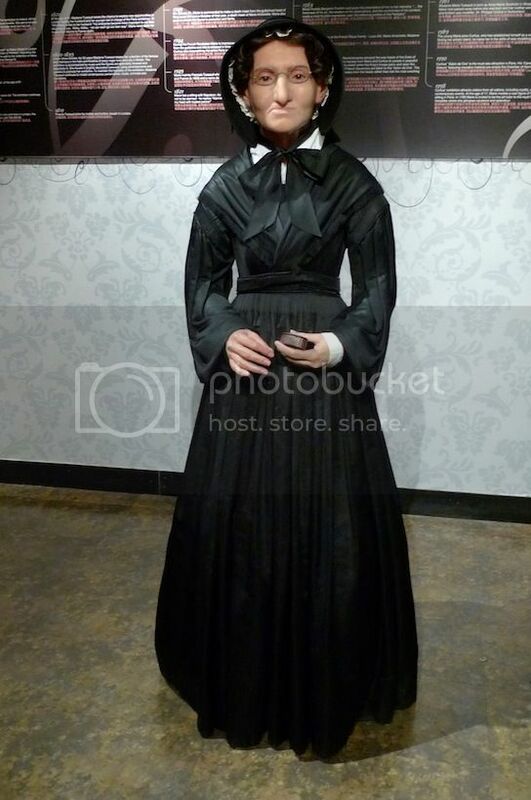 It's Madame Tussauds herself! Princess Diana of Wales, looking radiant. 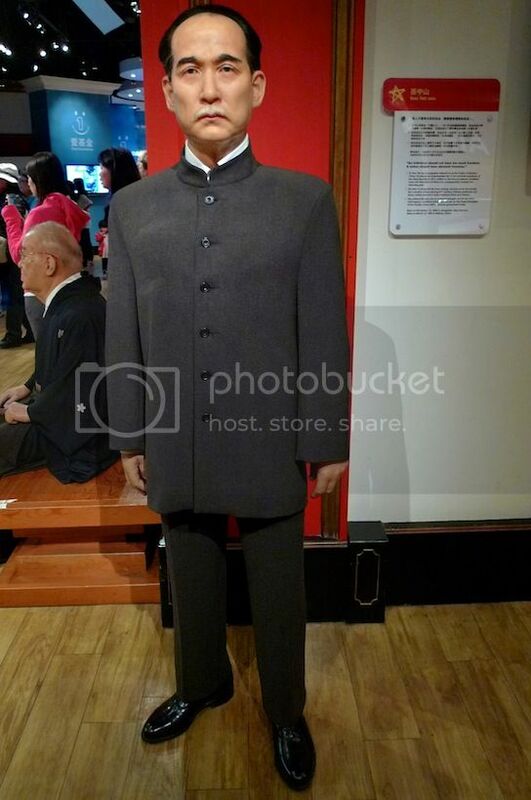 Jet Li is actually quite short! I am slightly taller than him. 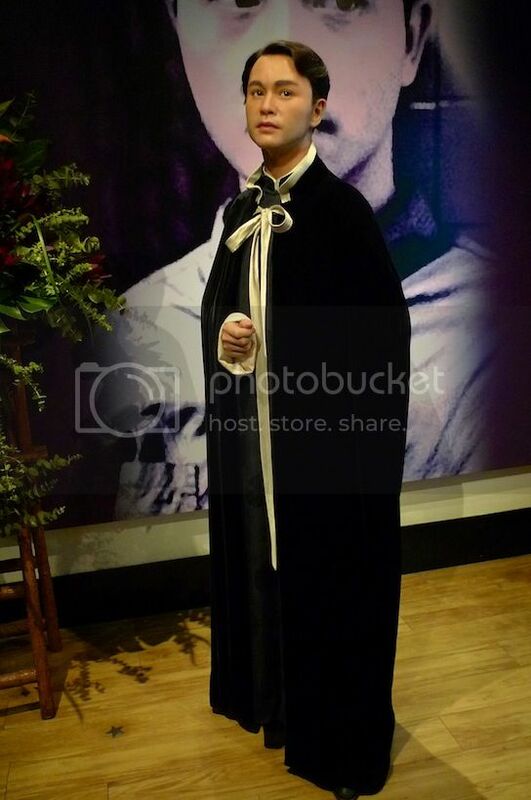 Why was Leslie Cheung dressed like a vampire? Give that to Rob Pattinson please! Bill Clinton, the 42nd American President famous for the sexual misconduct allegations against him. Saddam Hussein, mostly known as the ruthless dictator of Iraq. 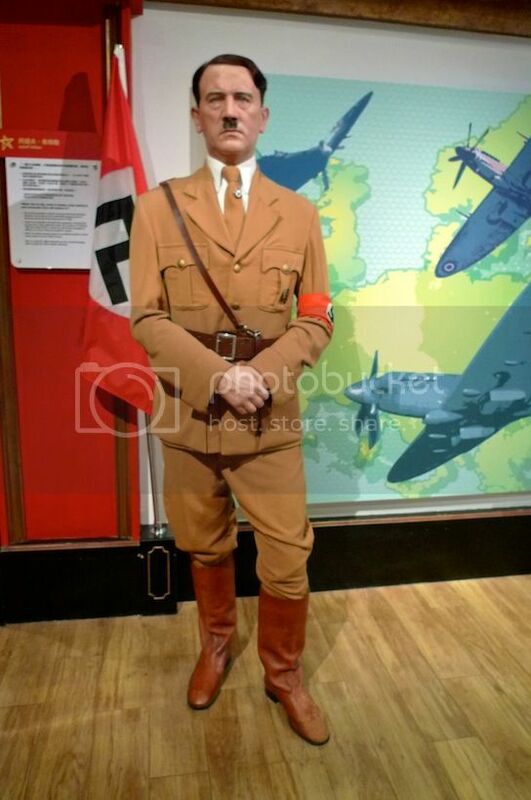 Adolf Hitler, known as one of the most evil people in the world and who was responsible for the death of over 50 million people during World War II. 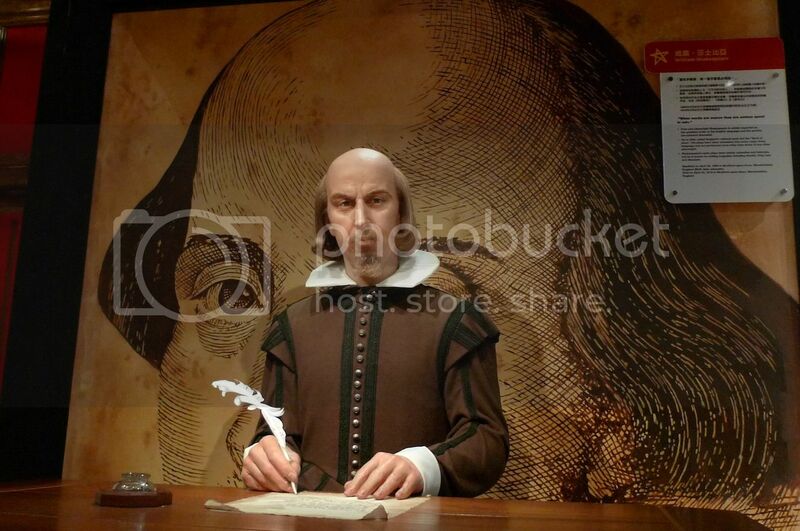 I thought English poet and playwright William Shakespeare looks very real here. 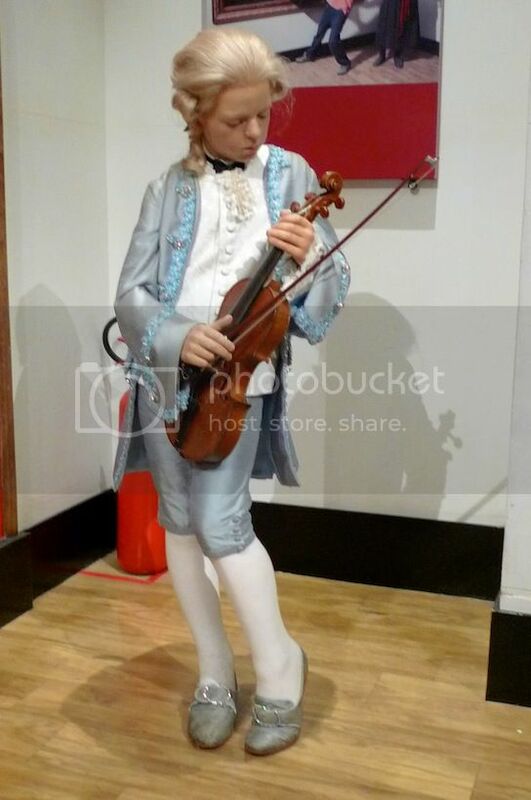 I love the classical music by music prodigy Wolfgang Amadeus Mozart! Did you know he started composing music at the age of 5? Of course extremely talented musicians have to die early. He died at the age of 35. 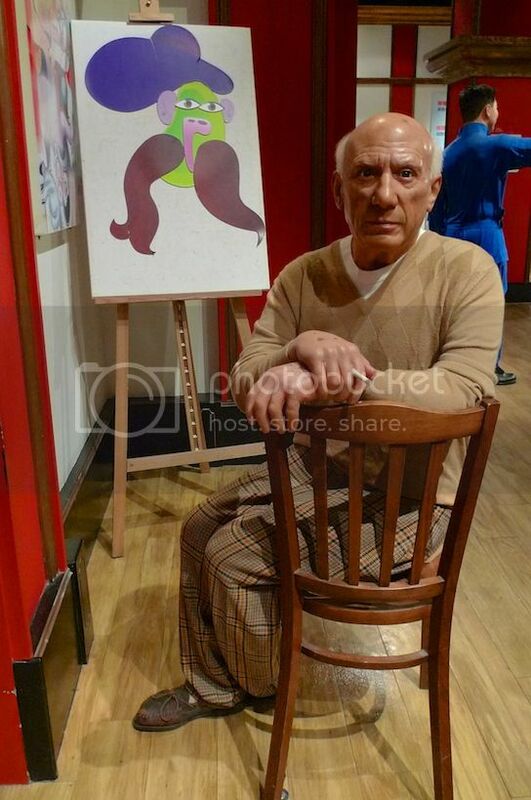 Pablo Picasso, the famous Spanish painter and sculptor. 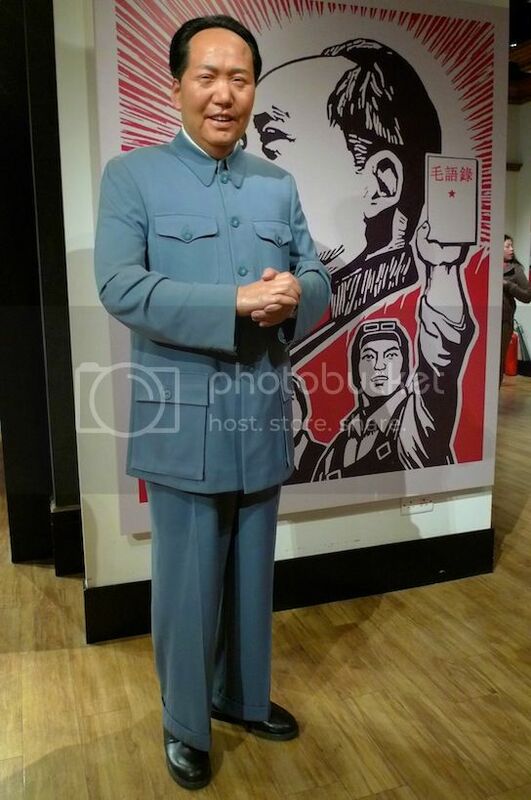 Mao Zedong, or Chairman Mao, leader of the Chinese Revolution. Jiang Zemin, the President of the People's Republic of China in the 1990's. 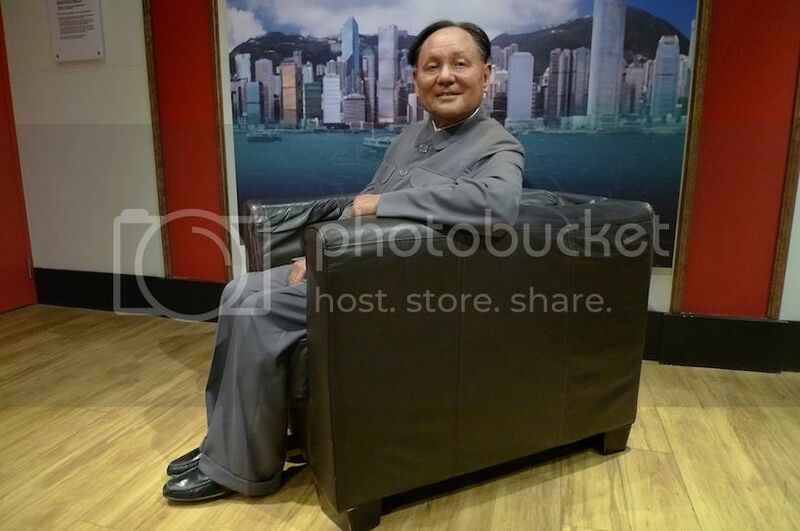 Deng Xiaoping, who was widely credited as having developed China into one of the fastest growing economies in the world. 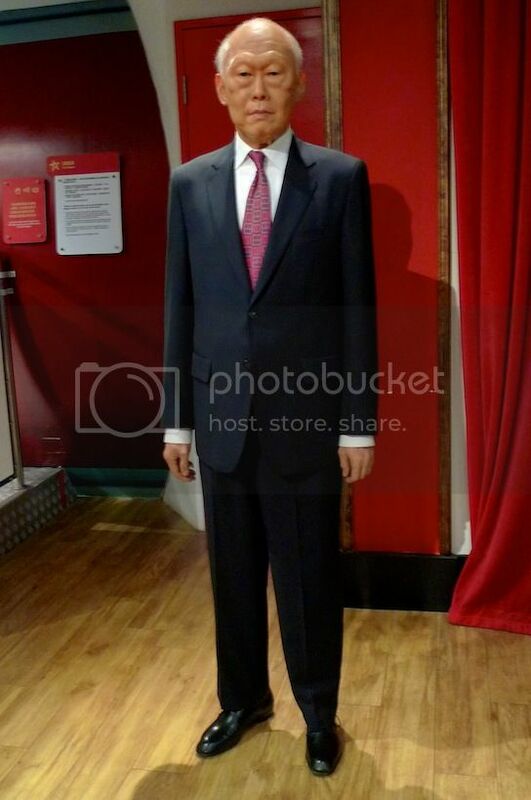 Hu Jintao, the current President of the People's Republic of China. Sun Yatsen, the first president and founding father of the Republic of China. Lee Kuan Yew, the first Prime Minister of Singapore.